Different types of standard fibres can be used in insulation, depending on the properties that are considered most desirable for a particular application. 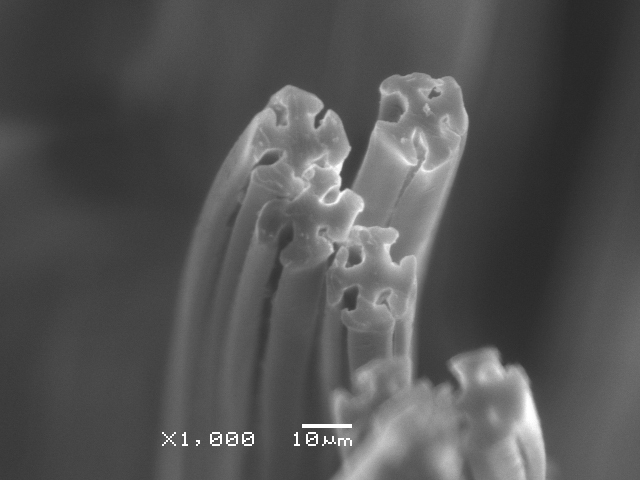 There are also unique fibres. Rather than using one of the standard varieties of fibre, unique fibres insulation uses fibres with a distinctive shape that has been engineered to provide a particular set of properties and to combine those properties in an optimal way. If you’re considering unique fibres for your insulation needs, here are a few things you should know. Standard insulation fibres all offer different properties and are good for different things. If you want one or two particular properties, this often requires compromising on other properties that may not be very much less important. Unique fibres insulation uses fibres that have been engineered with a specially-designed and unusual shape compared to the more common types of fibre. The reason for this is not just to give the insulation particular properties, but to combine the properties of various different insulation types in order to create a variety of fibre insulation that is strong almost completely across the board instead of being good at some things and bad at others. As a result of the unique shape of its fibres, this insulation is strong yet lightweight and flexible, and it provides a soft feel. It’s warm and waterproof yet very breathable, and it has excellent vapour-wicking properties. It also has good anti-migration properties, keeping it at full effectiveness for longer. The unique fibres used in this kind of insulation are not widely manufactured. Instead, they are a patented and proprietary technology developed by and for Clo-i Insulation. As such, they are not something that can be shopped around for or obtained from any supplier other than Clo-i stockists. Other companies may employ similar principles of developing different fibre shapes in order to combine multiple properties from standard fibres. However, be aware that these are not the same as the unique fibres insulation from Clo-i Insulation, and they do not have the same highly refined shapes. The uniquely shaped fibres in this type of insulation are highly effective at combining a variety of properties from other insulation types and ensuring that quality is maintained in all key areas. Nevertheless, it is a simple fact that trying to create one single product with no variations that can be used for absolutely everything is rarely – if ever – as good as something that has been designed for purpose. That is why Clo-i offers a variety of unique fibre insulation products. These are suited to different applications in practical terms such as weight and thickness and may provide slightly different combinations of different properties in order to be optimal for various specific situations and uses. Appreciating this and choosing the right variant for your needs will help ensure that you settle on an insulation product that will not only perform strongly across the board but also be as suited as possible to your specific set of needs.